If you’re like me, visiting a city includes visiting that city's parks. May is a great time of the year to visit the many city parks in Seattle: it is finally warming up and the days are getting longer. You can even make plans to head to a park after eating dinner at one of Seattle’s many great restaurants. Which parks to visit? It depends on how much time you have and how far you are willing to travel. For somewhere close to the conference, you can step outside the Washington State Convention Center doors. The Freeway Park shares the block with the convention center. It's located between 6th and 9th Avenues and is bounded on the north by Union St. and by Spring Street to the south. Freeway Park is definitely a hidden gem within the walkways north and south of busy I-5. Want to get closer to Puget Sound? Head to the Olympic Sculpture Park. This park is part of the Seattle Art Museum, but is located outside between Puget Sound and the Seattle Center. The pavilion is open Tuesday through Sunday from 10am-5pm and the park itself is open from sunrise to sunset every day. Take a moment to enjoy the view from the provided seating near the Calder sculpture and then take a walk back towards Pike Place along the waterfront, via Alaskan Way. Remember the magnificent view from the apartment of Frasier Crane from the TV show Frasier? That view is often attributed to Kerry Park. There's not much else here but a great view of Seattle and Puget Sound including Mt. Rainier. Bring your selfie stick! The Washington Arboretum and Japanese Garden is on the edge of Lake Washington and Union Bay across from the University of Washington. The Arboretum is free. The Japanese Garden is not, but is worth the admission. Also, don’t miss the walkway on Marsh and Foster Islands, where you're sure to spot some wildlife. Want to go further out? 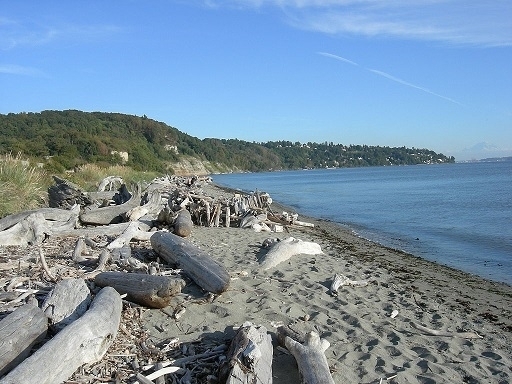 Discovery Park is the largest of the city parks in Seattle. Within it, you'll find lots of great trails, a nature center, a lighthouse, a beach (it's a rocky one! ), and a view of Puget Sound. Make sure to bring a picnic lunch as you’ll be spending more than just an hour or two here. You’ll be in awe of the rich foliage and the views. To learn more about the parks of Seattle, use the Seattle Parks and Recreation parks site or stop by the hospitality booth at the conference. We will be happy to provide recommendations for getting touch with nature at one our beautiful parks.